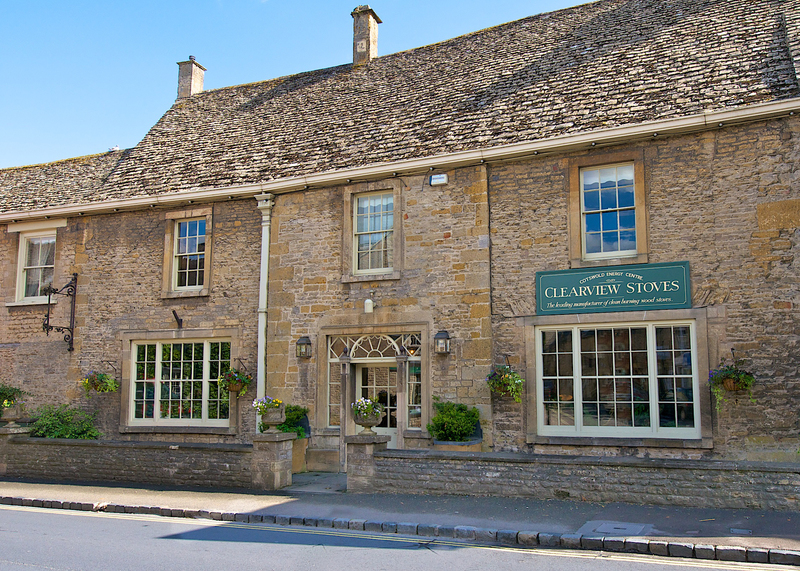 Beautiful Woolcomber House, in Stow-on-the-Wold, is the Cotswold home of Clearview Stoves. In true Clearview tradition this large and beautiful Cotswold stone building is no ordinary showroom. Within a number of stunning rooms our range of stoves is attractively displayed, many under fire, providing you with the complete Clearview experience. See the impressive crystal clear view of real flames our stoves are so famous for and discover all the other features that make them so special. We positively encourage you to explore in your own time, but, rest assured, there is always an experienced member of staff on hand to advise and help with your particular requirements. It is a relaxed and informal place to see and choose a woodburning stove. Local HETAS registered fitters, if required, will then undertake installation of your stove and flue system.